The beauty of a soft bottle: once empty, it compacts to the size of a fist. The opening is a standard size so it works with other lids. 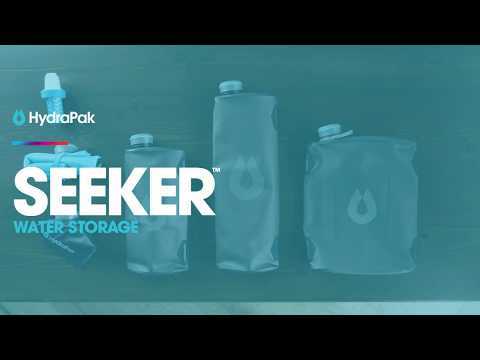 Ideal for carrying extra water on a hike, to the gym or anywhere else you need water and space is limited. Soft, grippable TPU is RF welded for leak-proof bonds. Top and side fabric loops let you attach or hang it.